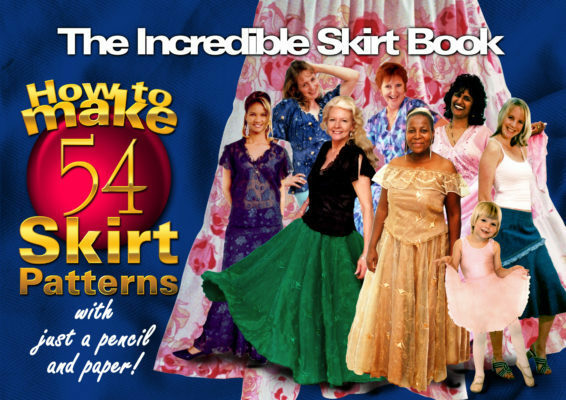 This informative magic book will show you how to create a basic skirt pattern no matter what your size hip and waist is. To be able to design 54 different styles, all you need is this book, an ordinary straight ruler and a pencil. Nothing else. From swirly panelled skirts, godets, linings, and circle skirts, the sky is the limit. Packed with info on making waist bands and facings that fit, how to insert the right size darts for your waist, how to cut skirts on the bias, and even how to cope with a large tummy. 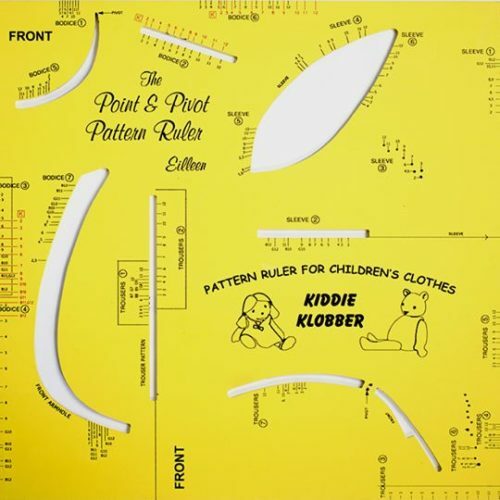 This informative magic book will show you how to create a basic skirt pattern no matter what your size hip and waist is. To be able to design 54 different styles, all you need is this book, an ordinary straight ruler and a pencil, Nothing else. From swirly paneled skirts, godets, linings, and circle skirts, the sky is the limit. and even how to cope with a large tummy.